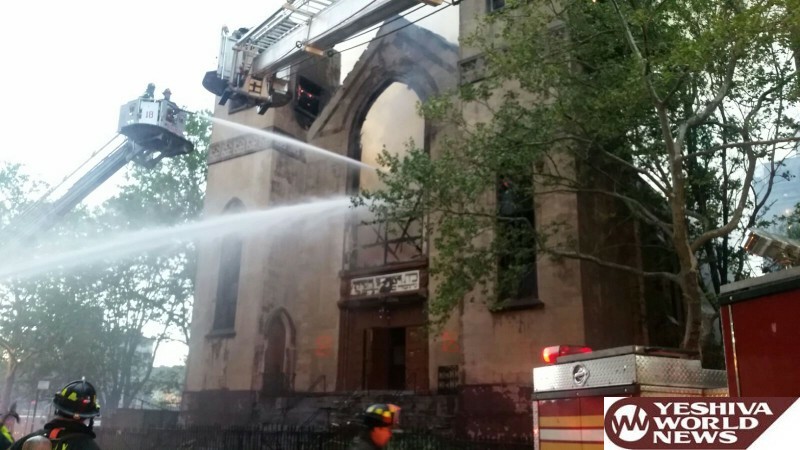 Firefighters battled fire at a historic Shul in lower Manhattan Sunday evening that sent smoke billowing across the skyline. 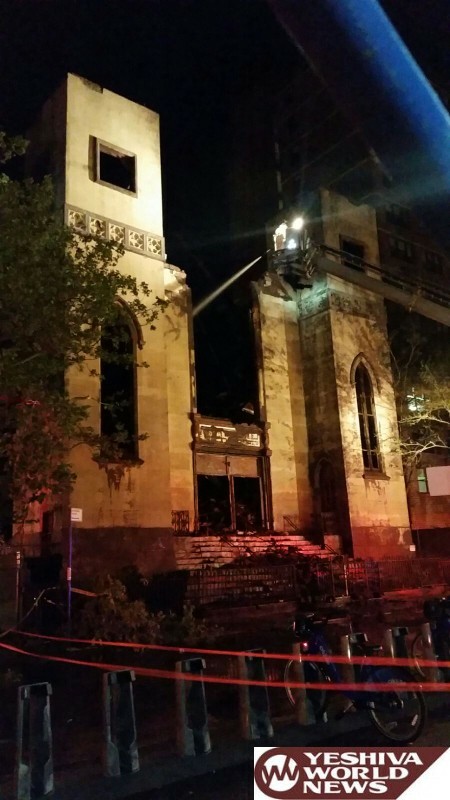 The blaze began at 60 Norfolk Street in the Lower East Side around 7:00PM at the “Bais Medrash Hagadol”. 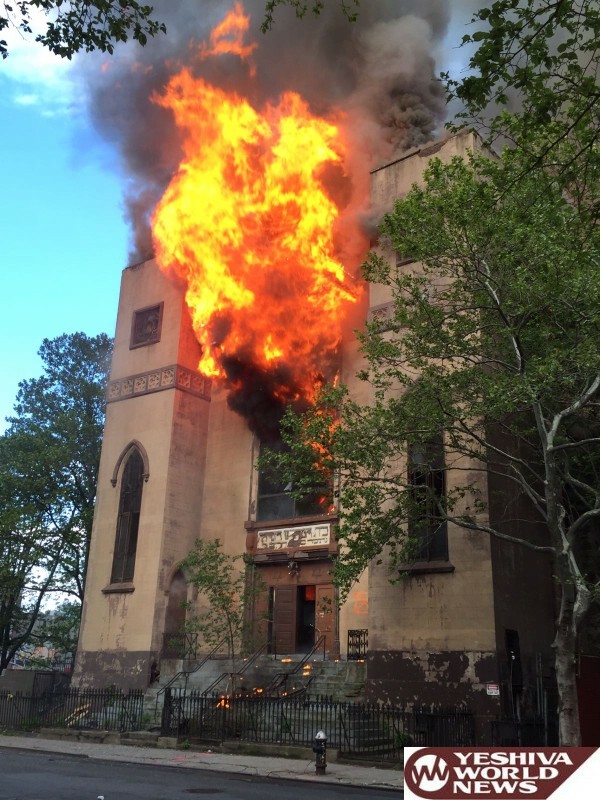 It quickly grew to a 3-alarm fire inside the abandoned building, according to the FDNY. 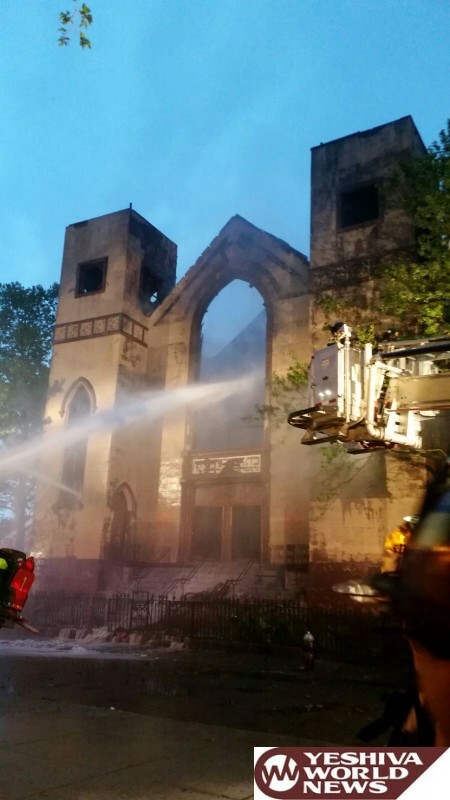 The fire was placed under control less than three hours later. This Shul was founded in 1852 and was said to be the oldest Russian Jewish orthodox one in the United States until it was abandoned ten years ago. WPIX reported that the structure was landmarked, but there had been a recent move to demolish the structure to turn it into condominiums. 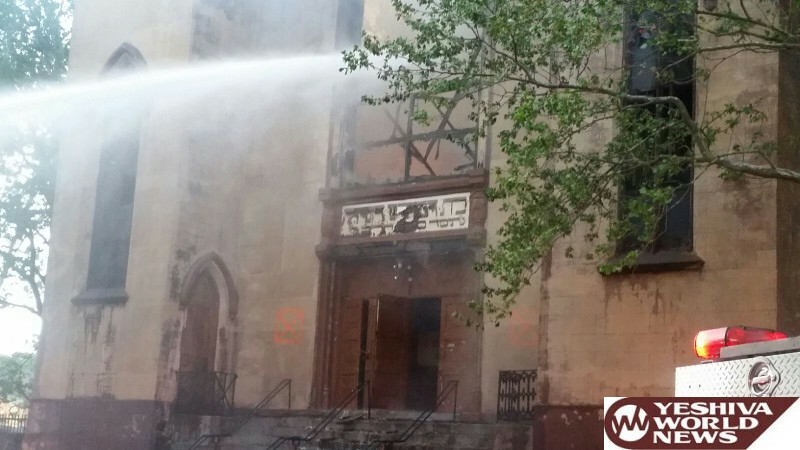 The good news is that the synagogue was vacant for a decade, and no one was injured. Firefighters were faced with challenges, though. They arrived at the scene within four minutes, but they had to quickly pull out from inside. “The roof collapsed, so we mounted an exterior attack, so the whole operation was an exterior attack,” says Assistant Chief Thomas Mckavanagh. Who owns it? Who wanted to make condos? Who would benefit from this being burnt down? Rabbi Ephraim Oshry Z”L used to be the Rav in that Shul. I was once zoche to hear him speak by shalosh seudos over there.